I have to confess to having a “black hole” in my pantry where containers of rarely used ingredients end up out of sight, out of mind. I recently discovered an open package of coconut flour at the bottom of the heap. I like to try new natural ingredients when they hit the market to make a personal assessment of their worth. After my first baking session with the forgotten coconut flour I’d lost interest in the remainder of the package. Yes it’s gluten free, but by my estimation it’s expensive and highly processed. The fact that cake made with coconut flour has a tendency to be dry and crumbly is also offputting. Essentially coconut flour is the dried flesh of a fresh coconut which has had the oils removed. The defatted coconut is then reduced to a powder. In baking, coconut flour absorbs an enormous amount of liquid so when using it as a substitute, the volume of liquid needs to be increased significantly. I counteracted the undesirable characteristic of coconut flour by using lots of ingredients with high moisture levels, but still I needed to add more than double the usual amount of milk. These were delicious muffins and they kept really well but when it’s all said and done, the coconut flour is almost gone and I won’t bother to replace it. Grease 2 dozen muffin tins and line with paper cases. Melt the butter in a small pan then set aside to cool a little. Measure all the dry ingredients into a large mixing bowl and thoroughly combine with a wire whisk. Whisk the eggs into the butter, the pour the butter mixture into the well. Add 1 cup of milk and mix to a stiff batter. Gradually add the second cup of milk using only enough to make a soft but not runny batter. Allow the batter to rest for 10mins. Assess the thickness of the batter and add more milk to thin it to the original consistency. Fill the paper cases 3/4 full of batter and sprinkle a little shredded coconut on top. Bake the muffins until puffed, golden and firm to the touch, about 20 minutes. tore in an airtight container. You are so right! I have a bag of coconut flour and sugar unopened in the cupboard and I fear they will be long past their best date by the time I use them. If I’m doing something gluten free I just reach for brown rice flour or almond meal. It’s one of the downsides to being a curious cook sometimes – but the upsides far outweigh the occasional ‘latest bandwagon’ disaster. You have to see what the hype is about, but i’m often bemused by it! I understand the moisture troubles of coconut flour all too well, I’m afraid. I recently made some lamingtons with it and it took me quite a few cakes before I finally figured out the correct amount of moisture! (Ended up using a couple more eggs than usual and quite a bit of Greek yogurt!) I think I might be with you on the fad-wagon. I don’t think I’ll repurchase coconut flour once I’ve finished this bag. Thanks for giving me another recipe to help use it up! You’re welcome Amanda. Considering the cost of that flour any baking failures are expensive! I’ll have to give this a try. I cleaned my pantry recently and found an unopened bag of coconut flour! Guess I was never really motivated to use it yet. Good to know it isn’t worth all the hype. I know a few people with celiac disease and that is why I got it, of course I haven’t seen them in ages so I guess I’ll have to try it myself. Love your honesty! Yes, coconut has taken over from kale – it really is all the rage but is so high in fat, as you say. I like using the oil for smearing the pan when I am making pancakes – it imparts a lovely subtle flavour but that is about it. 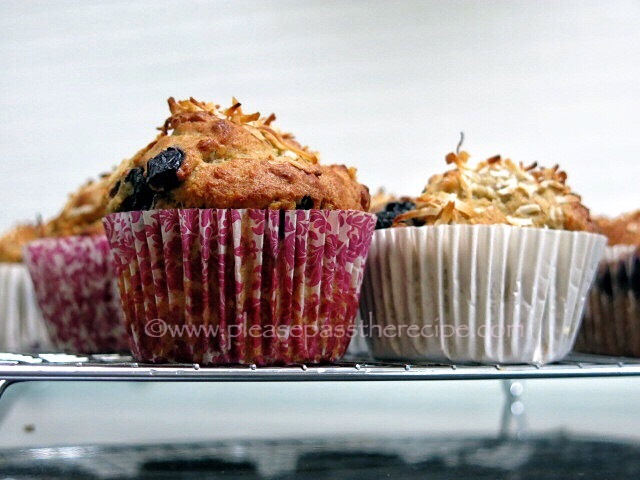 Your muffins look really good in any case! I love your assessments of new things. So sensible. These muffins look great. I have noticed that the C word has taken over from the K word lately- that is coconut from Kale. Good to have a clean out and make treasure. I don’t get the coconut fad at all! Hi fat to boot, not that i’m a low fat advocat. There is a baking book out there that eschews dairy, wheat and sugar, and uses tons of coconut, honey, syrups and nuts instead. It’s supposed to be healthy!!! Thanks Dimple, if you have coconut flour, they’re worth making! It’s a good feeling cleaning out your pantry! Those of us who are curious usually end up with a few things that didn’t quite meet the hype. You have echoed my feelings about coconut flour. And, Even making your own isn’t worth it! I solved the hydration problem (like you) by adding more liquid, but also soaking the flour prior to adding it to the batter. My stash is finished and I won’t be making any more! Order plus muffins! A win-win situation. 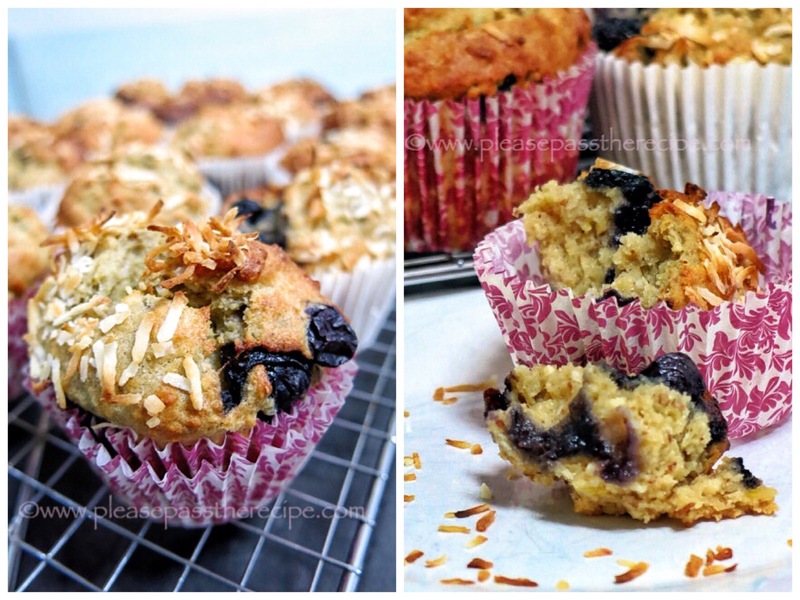 This entry was posted on January 22, 2015 by ladyredspecs in Baking, Breakfast and Brunch, Cakes, FODMAP diet, Food, Gluten Free, Gluten free baking, Muffins, Sweet mouthfuls and tagged blueberry, coconut flour, FODMAP diet, gluten free, muffins.